Subject: Can’t We All Just Get Along? Greetings from the Daily Freier, a people’s collective located in the humid and cosmopolitan coastal region of Tel Aviv tasked with providing timely and useful information to the hardworking farmers, intellectuals, and factory workers of the surrounding villages and hamlets! We understand that the Defense Minister of our nation, Mr. Liberman, said some very rude and hurtful things about the Supreme Leader of the Democratic People’s Republic of North Korea, the Honorable Kim Jong-un. And this makes us very sad. This sort of malicious gossip is the type of idle chatter that one would expect from the clique of popular students at a Young Women’s’ Revolutionary School of Technology and Science when they are speaking of the new girl who has just arrived from a smaller, less prestigious Revolutionary School of Technology and Science located in a more provincial and traditional region. Do you know what we’re saying? 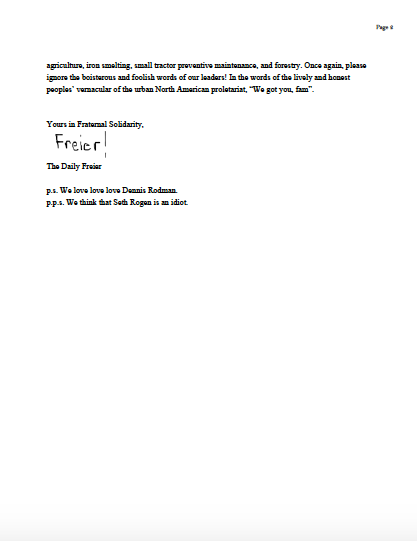 Due to the unfortunate and unhelpful statements of Mr. Liberman, the Daily Freier has decided to take bold action and appoint our august publication as the Central Secretariat for all future correspondence between our two fraternal and honorable nations. Henceforth, you can feel free to ignore the statements of Mr. Liberman, and quite frankly, just about the rest of our leaders. Why not? 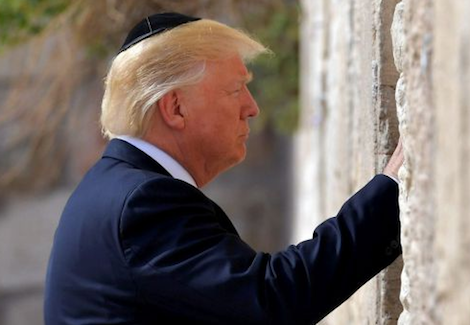 We here in Israel do it every day. It is actually quite therapeutic. 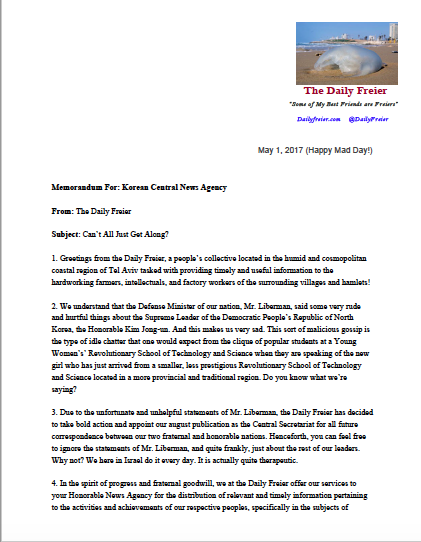 In the spirit of progress and fraternal goodwill, we at the Daily Freier offer our services to your Honorable News Agency for the distribution of relevant and timely information pertaining to the activities and achievements of our respective peoples, specifically in the subjects of agriculture, iron smelting, small tractor preventive maintenance, and forestry. Once again, please ignore the boisterous and foolish words of our leaders! In the words of the lively and honest peoples’ vernacular of the urban North American proletariat, “We got you, fam”. p.s. We love love love Dennis Rodman. p.p.s. We think that Seth Rogen is an idiot.